Delhi (India) – September 6, 2018 (travelindex.com) – The International Air Transport Association (IATA) released a comprehensive report on India’s aviation market. The report focuses on the challenges of realizing the economic and social benefits of an Indian aviation industry that has tremendous potential for continued high-speed demand growth. – In 2010, 79 million people traveled to/from/or within India. By 2017 that doubled to 158 million. That number is expected to treble to 520 million by 2037. – Aviation in India supports 7.5 million jobs: 390,000 directly, 570,000 in the value chain, and 6.2 million in tourism. – Aviation contributes some US$30 billion annually to India’s GDP. – Domestic load factors are high, hitting a record 90% in February 2018. – The 98 million domestic passenger trips in 2017 equal 7.3% of India’s population. – After adjusting for inflation, average domestic fares fell by more than 70% since 2005. – The number of domestic airport pairs is 700 (a 50% increase on 2015 levels). – Low cost carriers account for about 70% of domestic seats. – In 2017 there were about 60 million international journeys to/from India. – Low cost operators account for about 25% of international capacity. – India is directly linked to 304 international destinations, up from 230 in 2008. – About 41% of India’s direct international connectivity is to the Middle East—much of it to super-connector hubs of UAE and Qatar. – UAE is India’s largest cargo market (30%); Ethiopia is the fastest growing of the main markets (+114% on 2016). – Delhi and Mumbai are India’s largest cargo hubs; Mumbai and Chennai are the fastest growing (+18.1% and +17.2% respectively). Fundamentals supporting Indian market growth are strong. By 2036 India’s population is expected to reach 1.6 billion and average incomes are expected to rise to almost $5,000 per capita (a five-fold increase on 2006). With that, the number of “middle class” households should reach 20% by 2036 (up from 2% in 2006). Domestic markets will continue to drive industry growth. Of the 359 million additional passengers expected to fly in 2036, 228 million will be on domestic routes and 131 million will be connecting internationally. By 2026 India is expected to be the third largest air transport market in the world (up from its current 7th place ranking). – Policy: Baseline growth rate of 6.1% annually is expected to result in a total market of 520 million Indian passengers in 2037. Globally, liberalization and policy stimulus could see India’s growth rate rise to 9.1%, taking the total market to nearly 900 million by 2037. Equally, protectionist and other negative policy impacts globally could hold India’s growth back to 4.9% and the total market would be 400 million in 2037. – Ease of Doing Business: Over the last five years India has risen from 132 to 100 on the World Bank’s Ease of Doing Business survey. Continued improvement in this area will be critical to sustainable growth of aviation. – Travel and Tourism Competitiveness: India has also risen from 52nd place (2015) to 40th (2017) place in the 2017 World Economic Forum’s Travel and Tourism Competitiveness Index. Improvements in visa policies, infrastructure and preservation of monuments have assisted this rise. Continuous improvements in these areas as well as in human resources development, airport infrastructure density, and tourism infrastructure are among the areas that could further enhance India’s competitiveness. 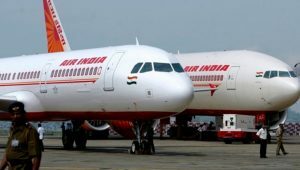 “Meeting the significant growth potential of Indian aviation will also create challenges – for the airlines, its industry partners and policy-makers. For example, this will require the right type of infrastructure at the right time and in the right place. Equally, the broader business and policy environment should not place hurdles which inhibit growth and reduce the level of benefits that aviation can deliver to the nation. The industry, its supply chain partners and the government and policy-makers have a clear mandate to work in collaboration towards the common goal of ensuring that aviation’s economic and social benefits are fulfilled,” said Brian Pearce, IATA’s Chief Economist and the report’s author.